Hart-Bradford House at Second & Mill Streets - Lexington, Ky. I was slightly incorrect on last week's #ThrowbackThursday photo as I observed only two famous occupants. At least four are worthy of mention: Thomas Hart, John Bradford, John Hunt Morgan, and Laura Clay. The property was accurately guessed quickly by Jason Sloan, the Historic Preservationist with the Blue Grass Trust. Jason had an unfair advantage, though, as the BGT was founded in the wake of the demolition of the photographed property. The property was known as the Thomas Hart / John Bradford House, though I fully overlooked the first occupant. Hart had been both at Boonesborough and had been a principal in the Transylvania Company which, had it been successful, would have forever altered Kentucky's lot. At the age of 63, Hart arrived in Lexington in June of 1794. In the late 1790s, ca. 1798, Hart constructed for he and his family a home on the corner of Second and Mill Street. He owned the entire block - now bordered by Broadway, Short, Mill, and Church Streets - which he utilized for his many business ventures. Hart may be best known for his son-in-law as his daughter, Lucretia, married Henry Clay. In fact, the nuptials occurred in this very house! As a gift to his son-in-law, Hart erected next to his own house a home for Lucretia and Henry. At the time, Clay practiced law across Mill Street. Hart died in 1808 and after the house was sold to John Bradford. John Bradford purchased the Hart home from Thomas Hart, Jr. for $5,000. Bradford had begun the Kentucke Gazette in 1787; it was the first newspaper in the Commonwealth. Herald-Leader columnist Tom Eblen described Bradford as "a Renaissance man of the early Western frontier" before creating a laundry list of endeavors in which Bradford found himself actively occupied: "land surveyor, Indian fighter, politician, moral philosopher, tavern owner, sheriff, civic host, community booster, postal service entrepreneur, real estate speculator, subdivision developer, mechanic and mathematician." The Gazette changed names in 1789 when it adopted what we now view as the conventional spelling of Kentucky. The change was precipitated by an official act of the Virginia legislature. One cannot underestimate Bradford's contributions to the region. He was the man "behind the scenes" accomplishing much and bringing Lexington with him. It is a question whether Lexington would have become the Athens of the West were it not for John Bradford. A Prominent, Public-Spirited and Useful Citizen. The plaque is visible at the center of the photo above. 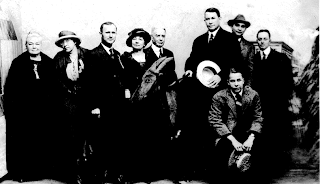 The Bruce family which followed the Bradford's at 193 North Mill; here Rebecca Gratz Bruce was born three months after Bradford's death. In 1848, Rebecca would go on to be married in this house to John Hunt Morgan and the couple lived here briefly for a time before the Civil War. Remarkably, their marriage and occupancy is only a footnote in the history of the property. Laura Clay, daughter of noted abolitionist Cassius Clay, removed here from White Hall in Madison County where she had been born. 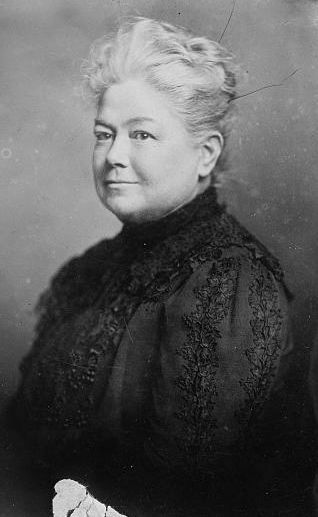 She founded the Kentucky Equal Rights Association and sought suffrage and equality for women. It is interesting to note, however, she opposed the passage of the 19th Amendment on the grounds of states' rights. In 1920, Clay was a delegate from Kentucky at the Democratic National Convention in San Francisco. The photo below is from the convention at which Clay become the first woman in either major political party to have her name placed in nomination for President of the United States. Ms. Clay, far left, and the other Kentucky delegates. 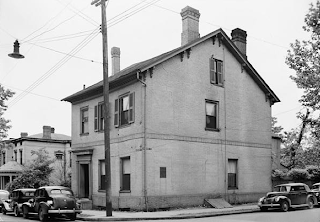 Ms. Clay died in her home at the corner of Second and Mill Streets in 1941. She was 92. In 1955, the Hart-Bradford-Clay home was razed in favor of a parking lot. The demolition did, however, prompt a group of preservation minded individuals to go about ensuring that the same fate did not befall the Hunt-Morgan House. The group, "The Foundation for the Preservation of Historic Lexington and Fayette County" expanded its mission and simplified name to today be known as the Blue Grass Trust for Historic Preservation. In 1958, Gratz Park was made Lexington's first historic district; today there are fifteen. 193 North Mill Street remains only a parking lot; nothing has risen from her ashes. It can be said, however, that her demolition galvanized members of the community to the great task of preserving Lexington's historic and cultural resources. Blue Grass Trust. Gratz Park Spreads. Brochure, available here. Coleman, Jr., J. Winston. John Bradford and the Kentucky Gazette. Filson Quarterly, v. 34 1960, available here. Dunn, Frank C. Old Houses of Lexington. Typescript, n.d. transcribed and available here. Eblen, Tom. Essay: John Bradford, Kentucky's Pioneer Journalist. 11 June 2013, available here. Hudspeth, Susan. 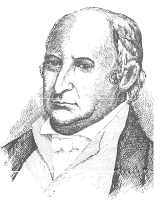 John Bradford: Pioneer Printer of Kentucky. Kentucky Women in the Civil Rights Era. Laura Clay: Kentucky Suffragette, available here. Pierces.org. Colonel Thomas Hart III, available here.